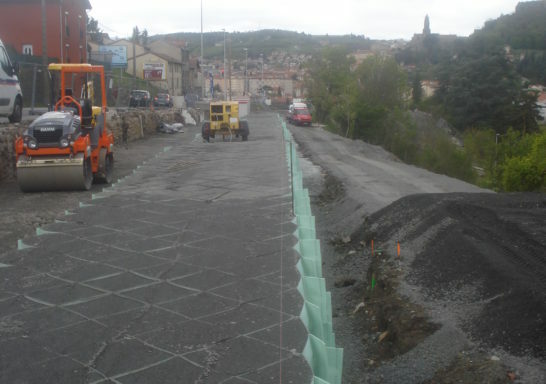 The project concerns the widening of the Avenue des Belges including the development of a "pedestrian and cycle" path as well as a 5.0 m high lookout at PUY-EN-VELAY (43). 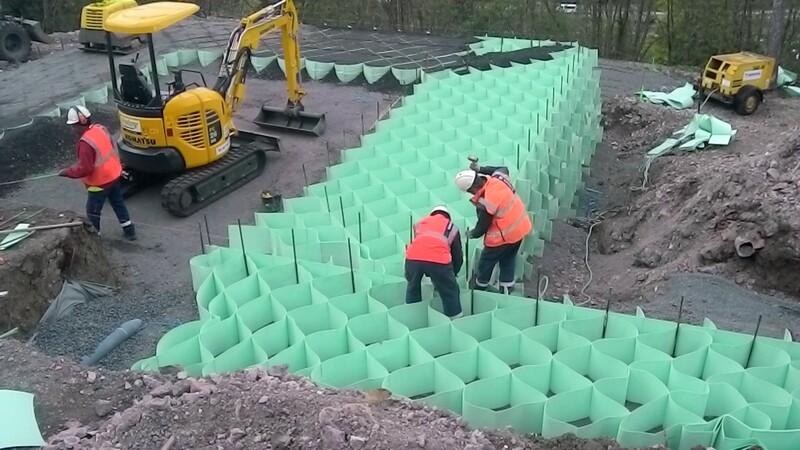 The support of the land and roads was carried out using M3S® cellular geotextiles. The structure is backfilled with 0/20 gravel. 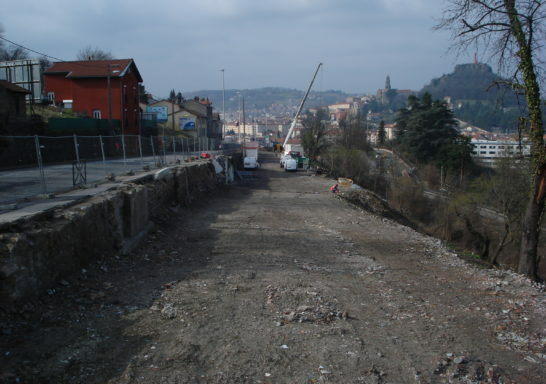 The latter is based in particular on a former area of buildings demolished at the start of the project. The very low load-bearing capacities and frost-proofing conditions did not allow the installation of an overly expensive reinforced concrete support. On the front panel, a masonry stone facing rests on a sill at the foot of the structure and does not take up any earth pressure (the latter being supported by the M3S® support). the agglomeration community of Le Puy en Velay here !